Persistent. 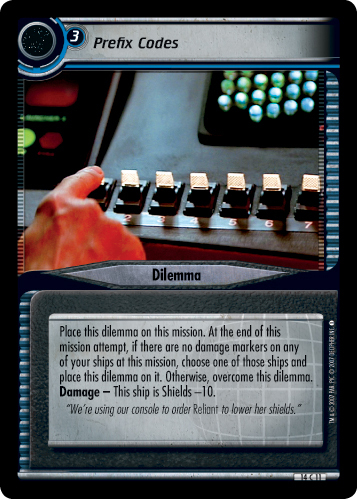 (When your personnel complete this mission, this dilemma's owner may discard a non-personnel card from hand to return this dilemma to his or her dilemma pile.) 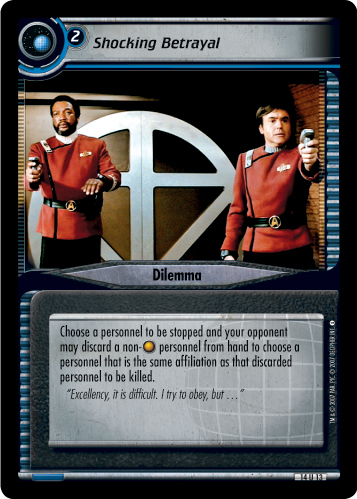 Choose a personnel to be placed in your opponent's brig. "If you need anything else, let me know at supper tomorrow. I'll be working most of the day. Feel free to wander."